Parineeti Chopra and Ayushmann Khurrana have begun shooting for their next, YRF's Meri Pyaari Bindu and the two appear to have a ton of fun while shooting it in Kolkata. 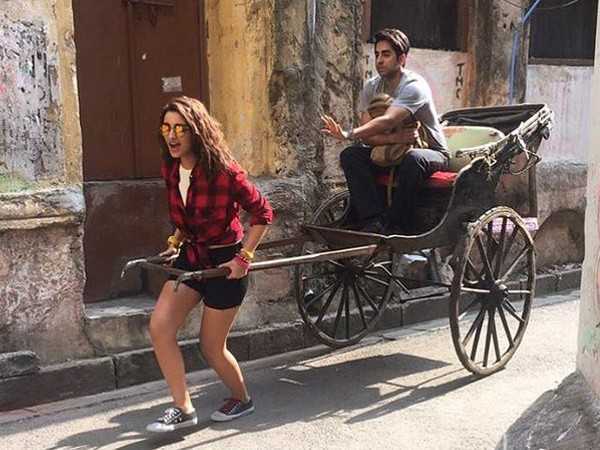 Today YRF has shared a video where we see Parineeti Chopra taking Ayushmann Khurrana for a ride on a handcart. Meri Pyaari Bindu discharges in the not so distant future and the film is by all accounts a joyride!